These are sure to be on every kid's list! The Shop TODAY team is taking a look at some great toys, recommended by both kids and experts! Great kids' gifts from FAO Schwarz! To get first dibs on new Fingerlings, "Harry Potter" gear and Pomsies, read on for our full list of the 49 hottest toys. Toy Insider expert Laurie Schacht stopped by the show to share her knowledge of all things fun! Also available at F.A.O. Schwarz. The iconic floor piano from the movie "Big" can now have a place in your home! 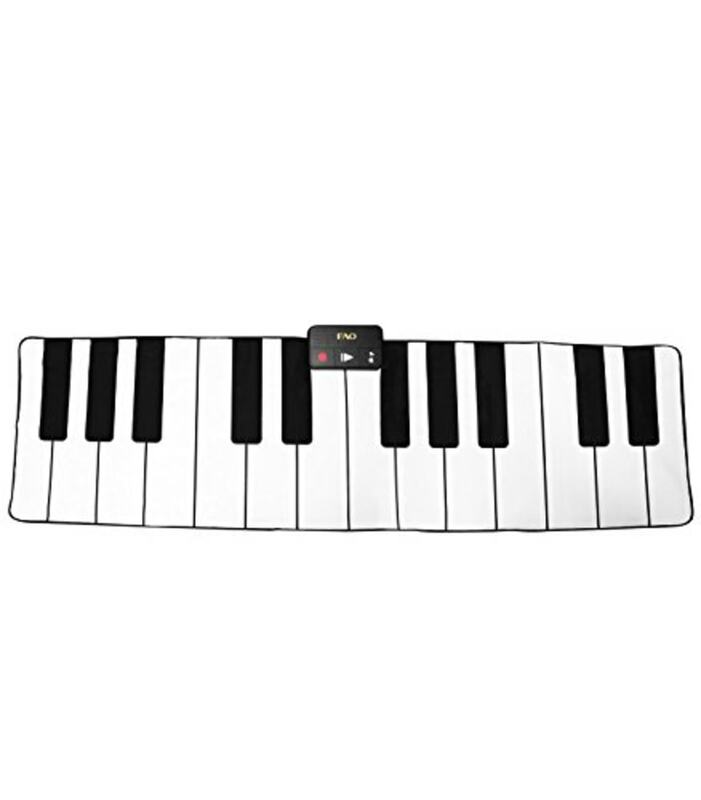 It also allows kids to record the songs they make up on the instrument and play them back. Similar option available at Target. This play space is great for kids who like to pretend they work in a store. 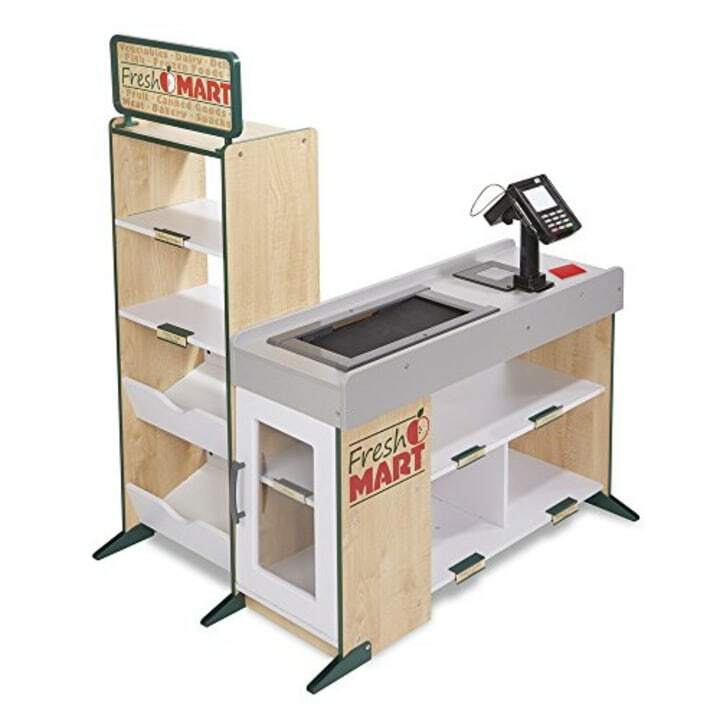 It comes with a beeping scanner, conveyor belt, card-swiping machine and cash drawer. This fire truck toy lets your little ones save the day with a 2-foot extendable ladder, three water cannons, a mini fire cart, and of course their favorite characters from Paw Patrol. This was also a favorite of YouTube stars Naiah and Elli. Read on below for their full list. Schacht liked this remote control car because the fifth back wheel allows for gravity-defying stunts. The LED lights make this car even more fun. 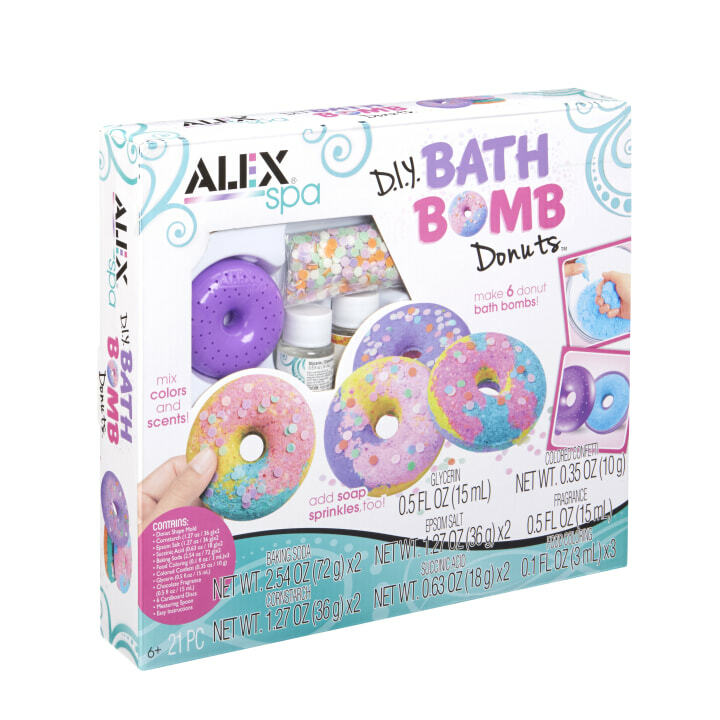 This kit gives kids the change to make six fizzy bath bombs by mixing colors, scents and sprinkles for a unique creation every time. This 88-piece set is the ultimate sleepover activity. 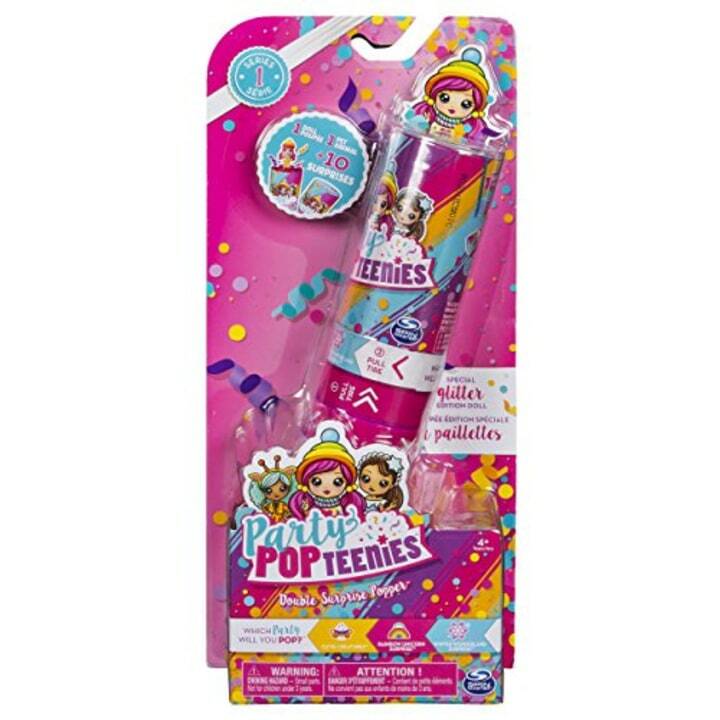 It includes nail polish, nail files, glitter, nail stickers and more. This musical figurine can capture kids' voices to create a song they'll be able to playback. 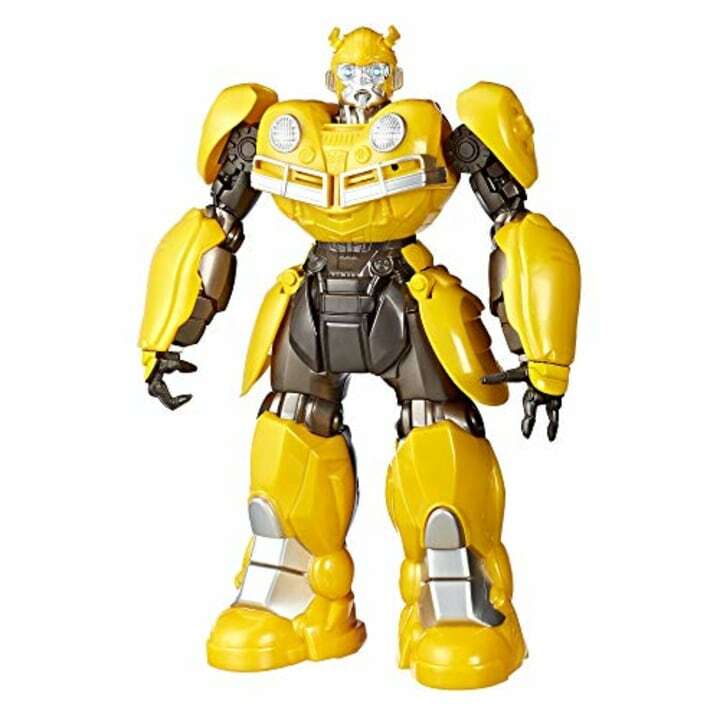 Play DJ by adjusting the tempo and track using Bumblebee's arms or watch him dance as you sing along. Also available for $35 on Amazon. Any future "Top Chef" would enjoy this dream kitchen. It comes with five different colors of dough to make faux food items like french fries and pies. This classic toy never goes out of style. 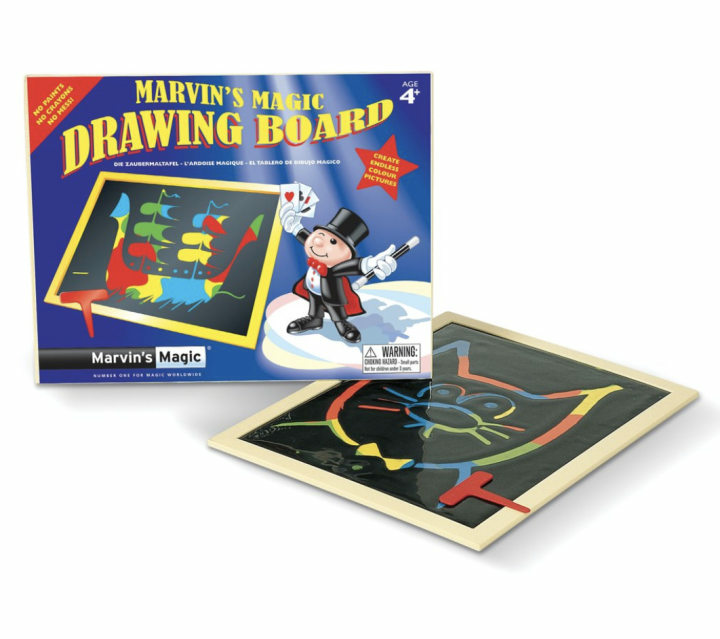 Kids can magically make pictures appear on the drawing board, then erase the board to start all over again. 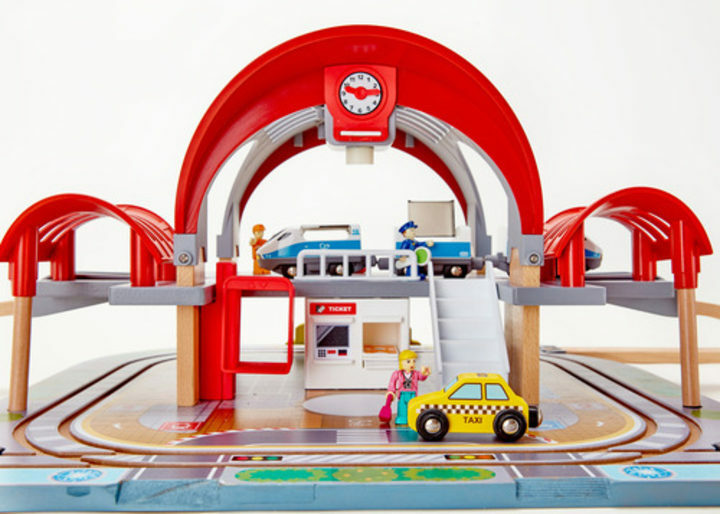 This classic train set includes five cars and 40 feet of track. Schacht also liked this one because it makes realistic sound effects and has fun LED lights. YouTube stars Naiah and Elli from the Naiah and Elli Toys Show stopped by the show as part of our "Gift So Good" hour of gift ideas. 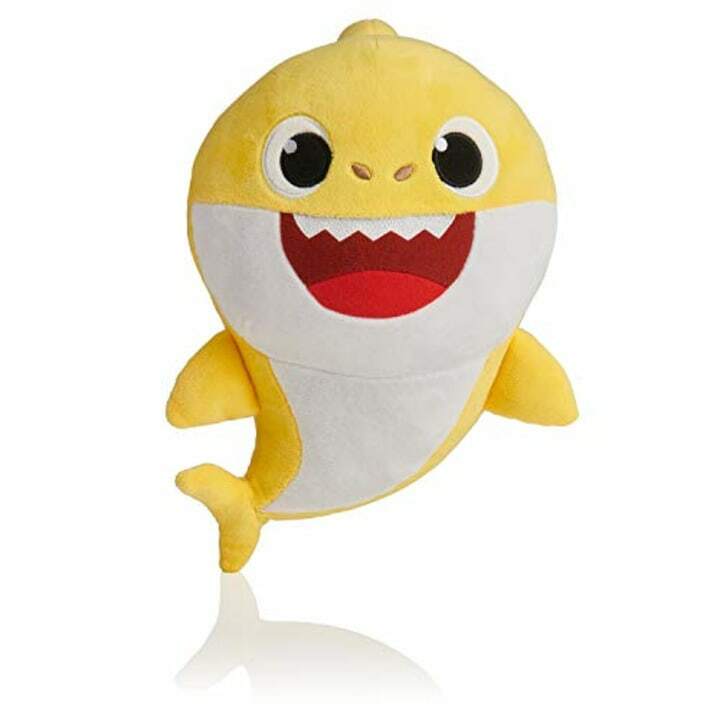 Kids will love to squeeze these soft plush stuffed animals and hear that catchy song about a family of sharks. 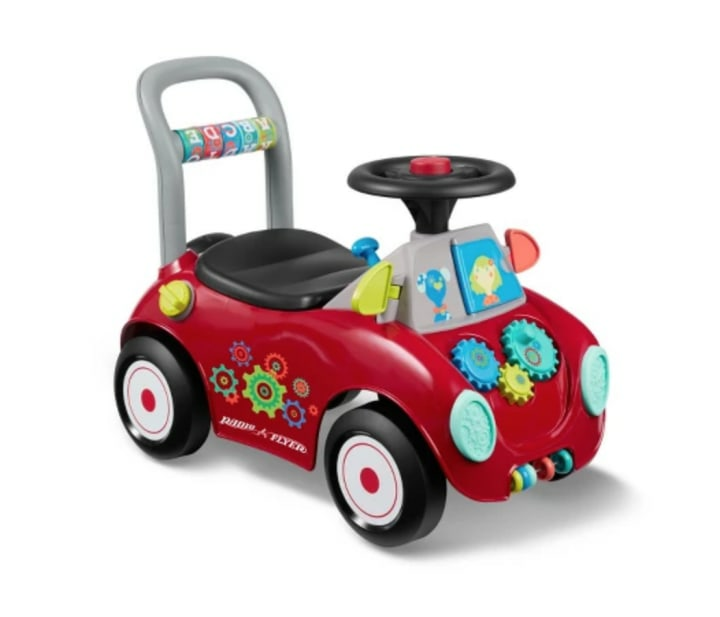 This ride-on buggy has 17 sensory activities to help little ones develop motor skills — and it doubles as a push walker to help them keep their balance as they learn to walk! This one also made the Parents Magazine hot holiday toy list. 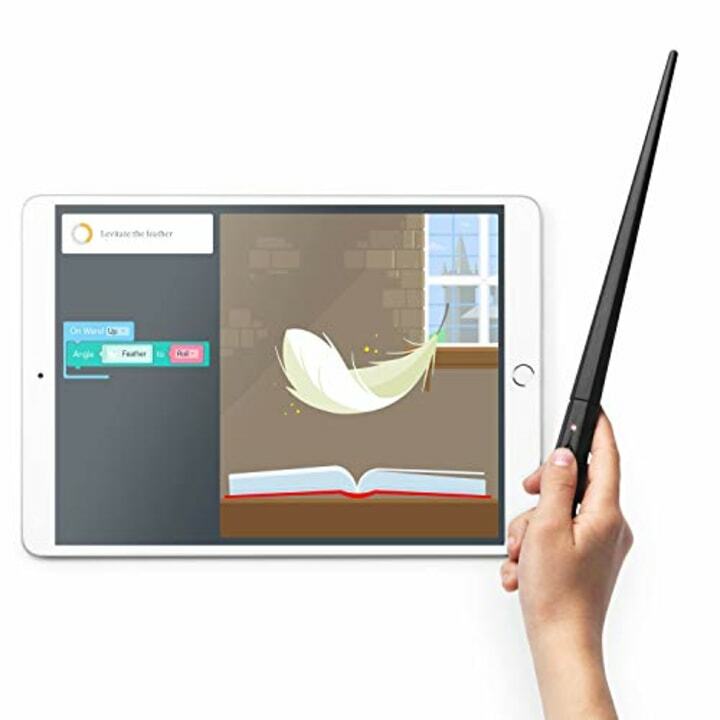 Potterheads will love learning how to code using their own wands. Step-by-step instructions will help fans bring a world of wizardry to life even if they have no prior coding experience! Get in on the unicorn craze with these colorful gals. Kids can take care of them like dolls, feeding them, brushing their hair, and even cleaning them after they potty. The only catch: the unicorns poop slime! 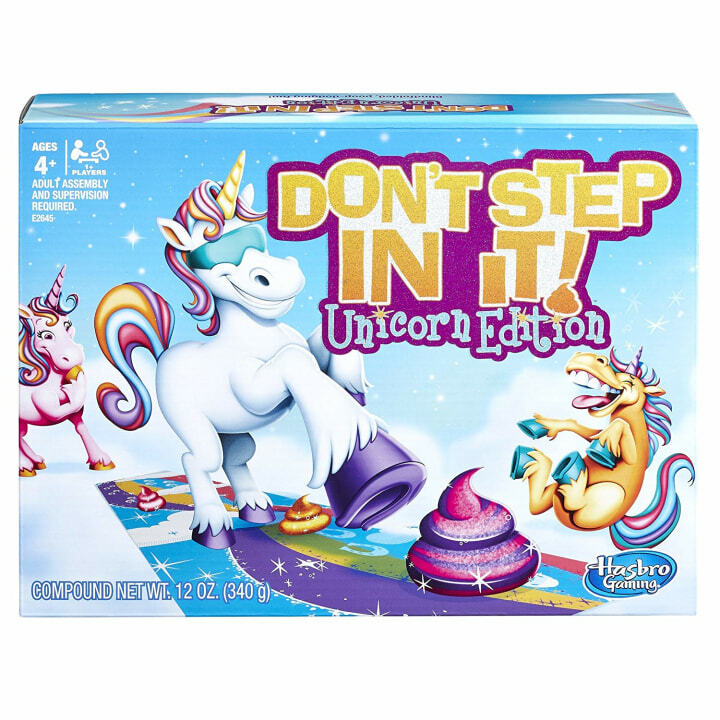 Kids will tread carefully playing this game, where they try to avoid stepping in the squishy unicorn poop as they walk blindfolded along the mat. Just like their mini Fingerlings counterparts, these cuddly stuffed animals interact with kiddos and even repeat what they say. 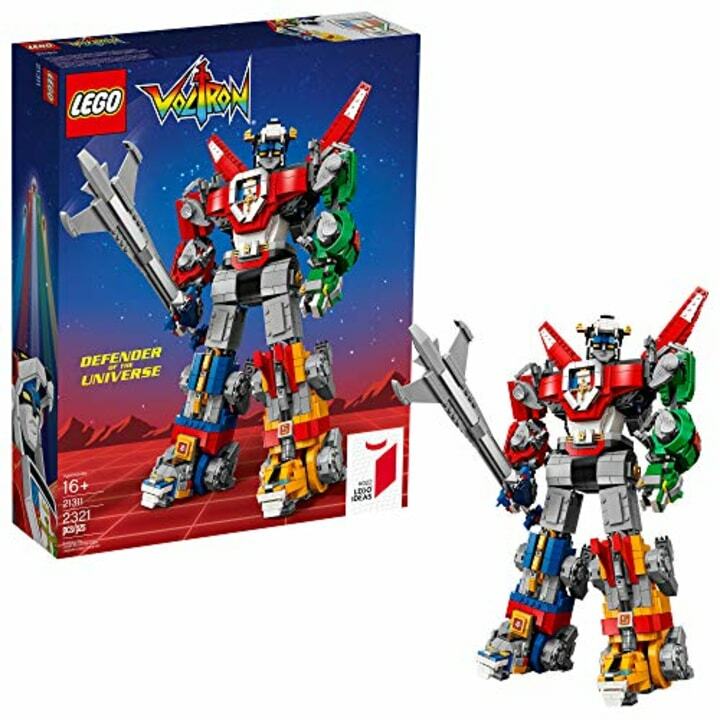 Assemble the Voltron character or play with the individual lions that comprise the toy. This versatile set is a great pick for a true Lego enthusiast. 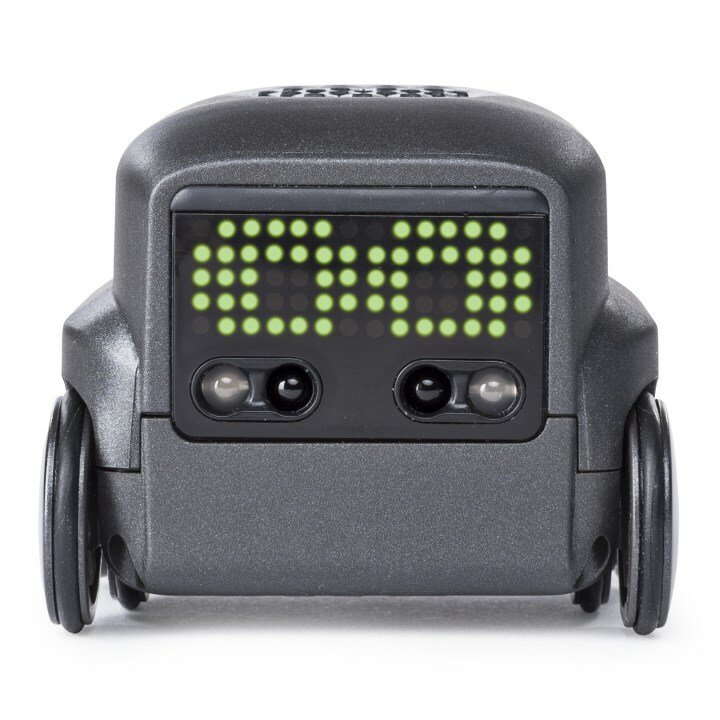 This robot toy responds to movement and interacts with hand motions to play games like bot bowling and more. The popular L.O.L. Surprise! 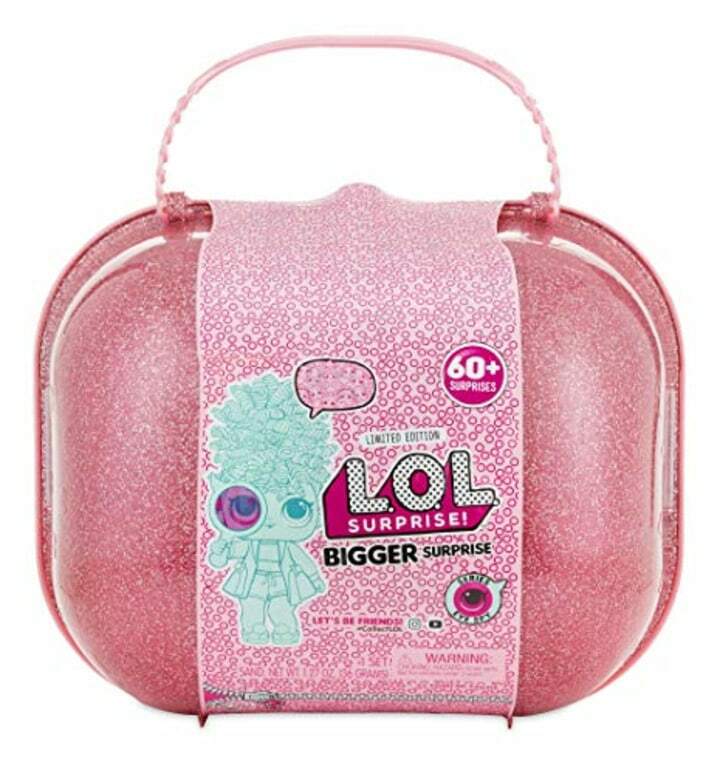 Dolls are giving kids the ultimate unboxing experience with their L.O.L. Surprise! Bigger Surprise package. 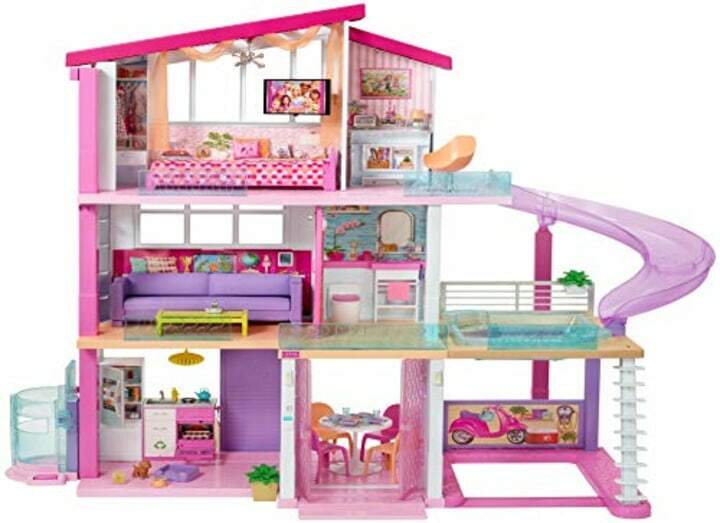 It includes over 60 surprises inside, including dolls, a pet, wigs and outfits. Step into the future with the Air Hogs Supernova. Kids can control Supernova with the power of their hands! They can master more than 30 moves and nine "Super Tricks," perfecting maneuvers that range from simple to complex. Parents magazine Editor-in-Chief Liz Vaccariello stopped by with her own toy list. Select styles also available for $9 on Amazon. 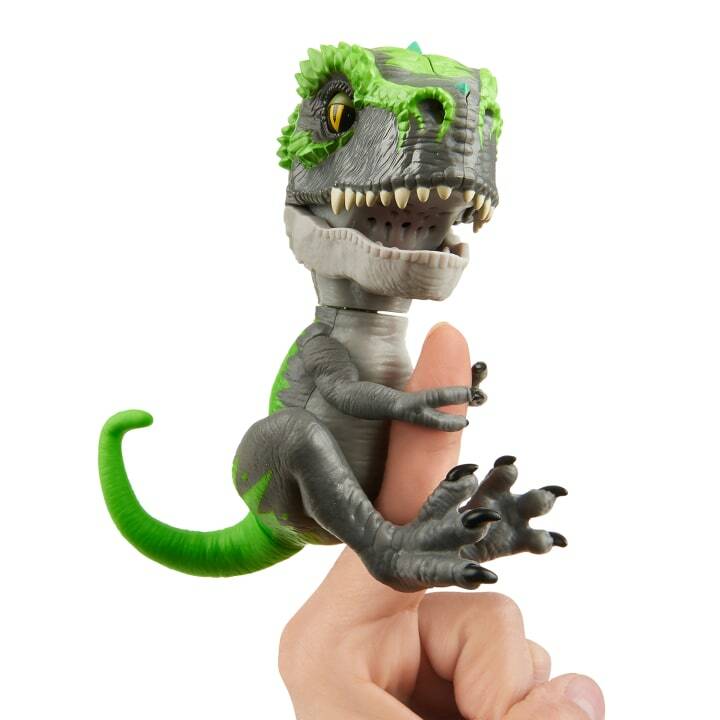 These adorable interactive toys attach onto any kiddo's fingers and respond to sound, motion and touch. Your child will enjoy trying to tame these little creatures, which love to cuddle when they're not growling or snapping their jaws! More styles will be released, including wolves and a sabretooth tiger. We also love the baby dragons! 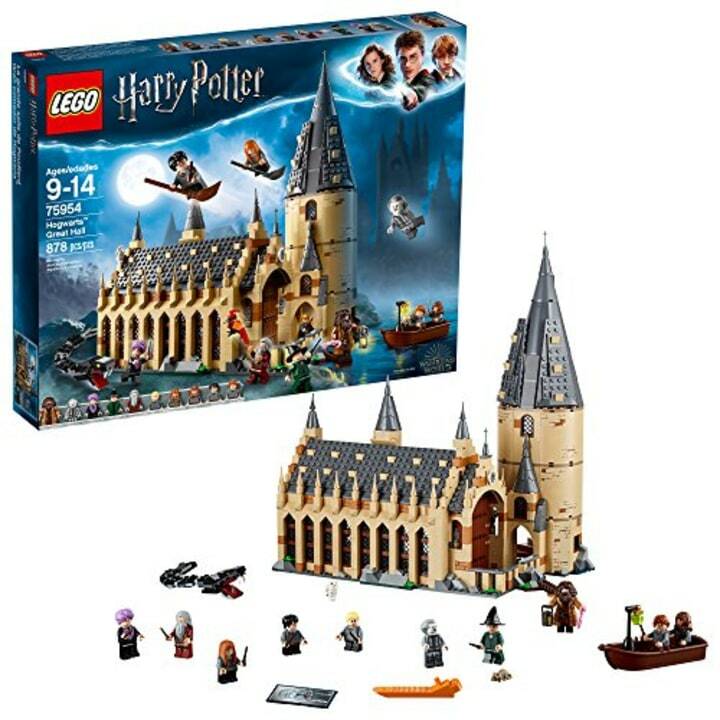 For your budding "Harry Potter" fan (or any Lego lover) this newly released Lego Hogwarts Great Hall set is perfect for children ages 9 and up. They can build the famous Great Hall, complete with house banners. Little figurines of famous wizarding pets like Hedwig are also included, along with wands, lanterns and cauldrons galore. No two of these Mystery Eggs are the same! Appease your picky child with this one-stop-shop for all things kid-friendly, brought to you by one of the most popular YouTube channels for kids. Mystery Eggs come filled with ultra-rare figurines, slime and putty among an array of other collectibles. Also available at Walmart and Amazon. Get ready to rock out with your preschooler! 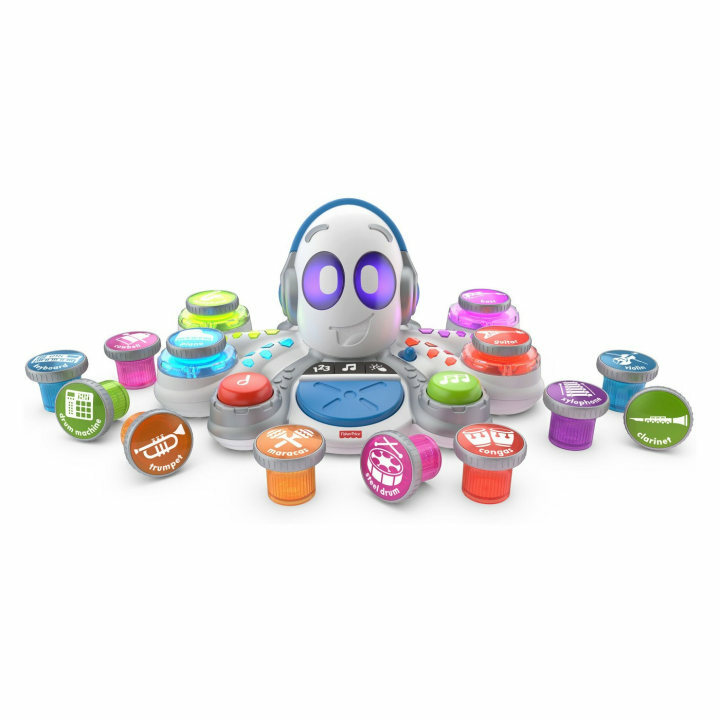 This musical octopus lets kids create their own tunes, all while helping them learn to identify different instruments and musical patterns. You can even download the Rocktopus app to make cool music videos with their newly composed tunes! Schacht also liked this pick because it enables a truly hands-on, physical approach to learning. Make your Disney princess fan's dreams come true with this 32-inch Rapunzel doll. It's the perfect height for your little one to play with. 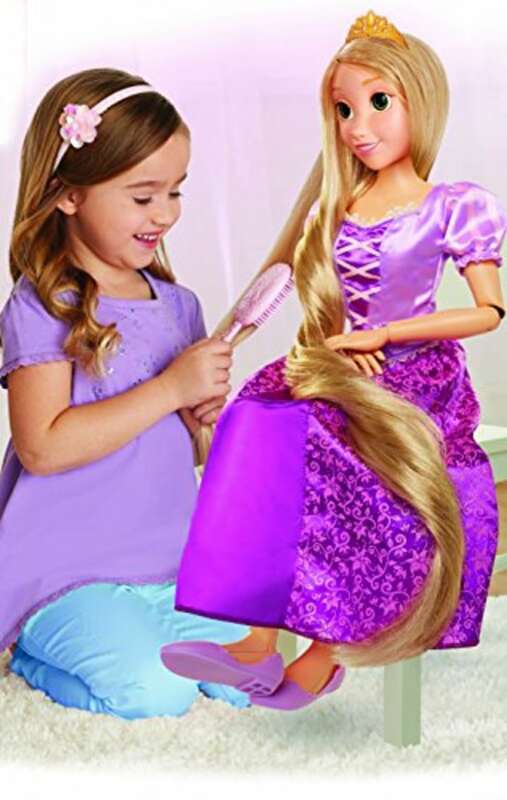 Styled in Rapunzel's signature purple dress, the doll can move her arms, neck, legs and shoulders — which makes playtime that much more realistic! 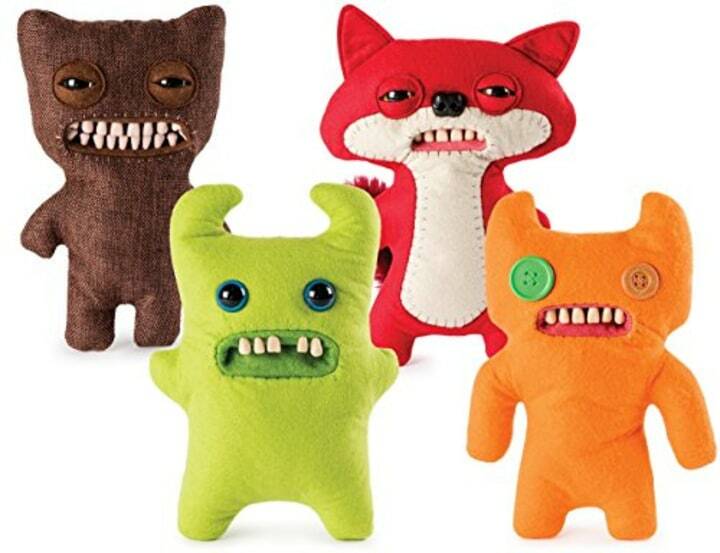 These adorable pom-pom-like toys will tell you when they feel tired, cold or hungry. 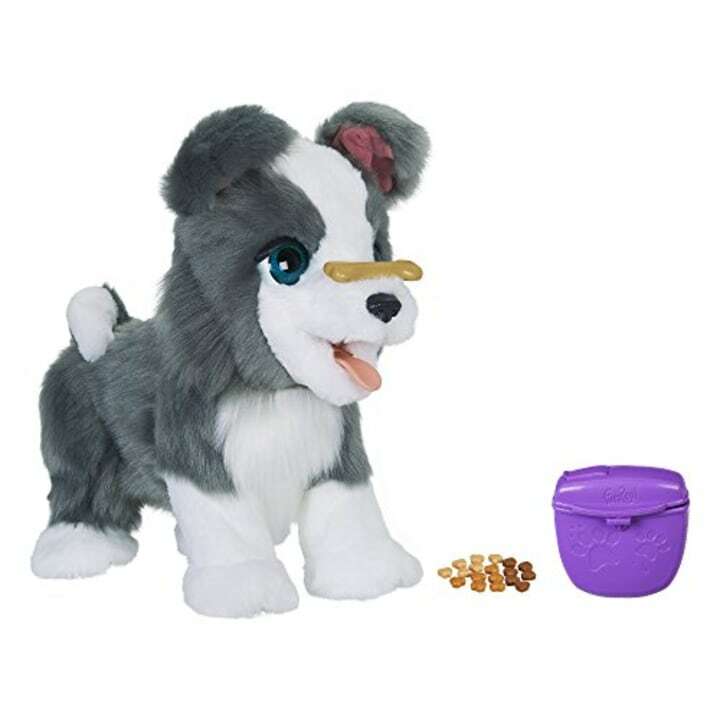 Their eyes light up, they purr and make a ton of other cute sounds — your kid will love playing along with their new furry companion! The best part? 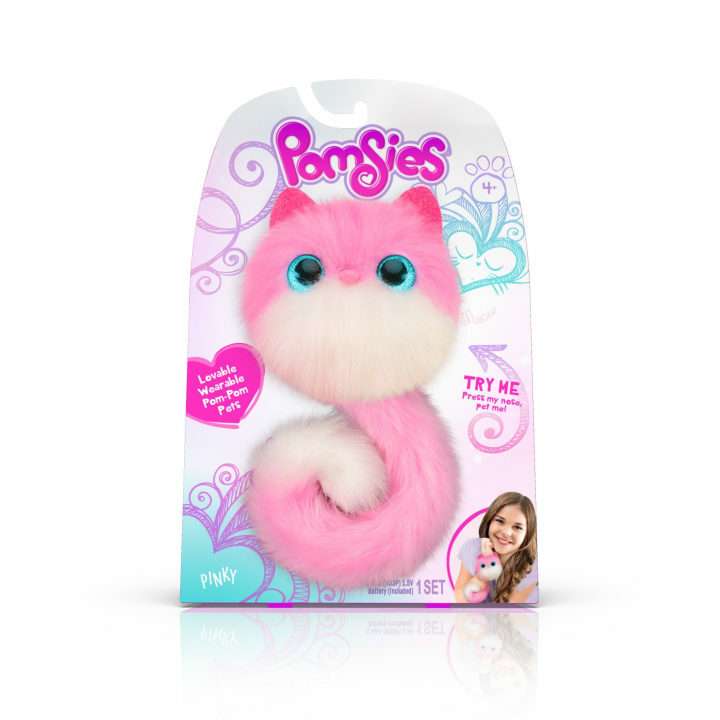 They can twist and lock the pomsies' tail around your backpack (or writst) and take them along wherever you go! This old childhood favorite is back again this holiday season! 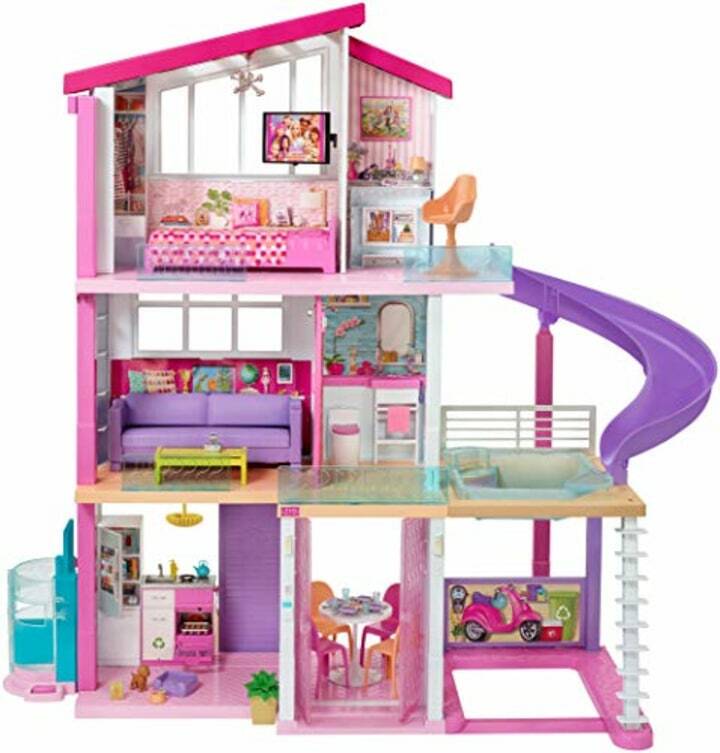 Complete with more then 70 accessories, three floors and eight rooms, the Barbie Dream House gives your child endless opportunities for imaginative play. This version of the popular bubble-bouncing gadget lets kids bounce around bubbles instead of watching them instantly pop! 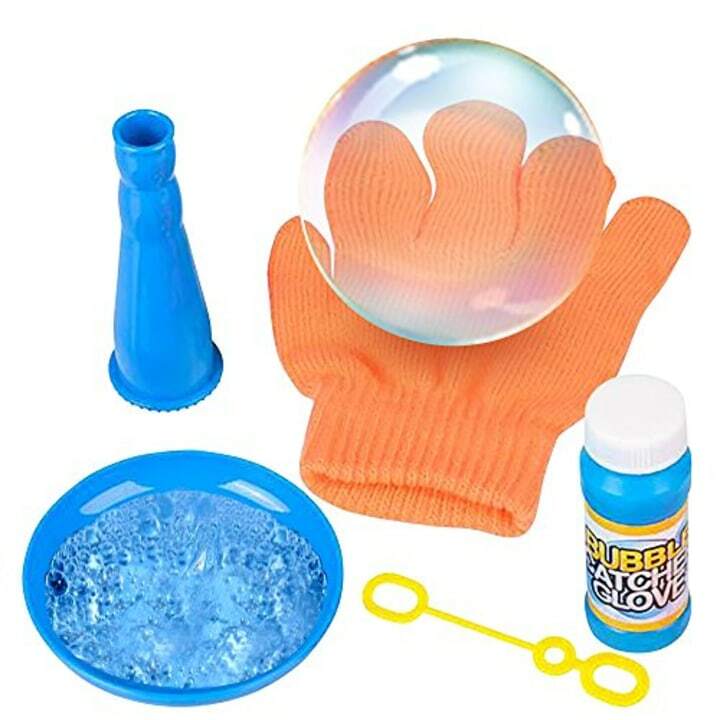 Use the special gloves to handle the soapy spheres and create huge bubbles that bounce from hand to hand. Little Kids' Slick Tricks toy is a similar activity with plenty of tricks to create! Toy Portfolio expert Stephanie Oppenheim stopped by the show with the Oppenheim Toy Portfolio Platinum award winners for 2018. Also available on Amazon and Target. This is Oppenheim's pick for older infants and toddlers. 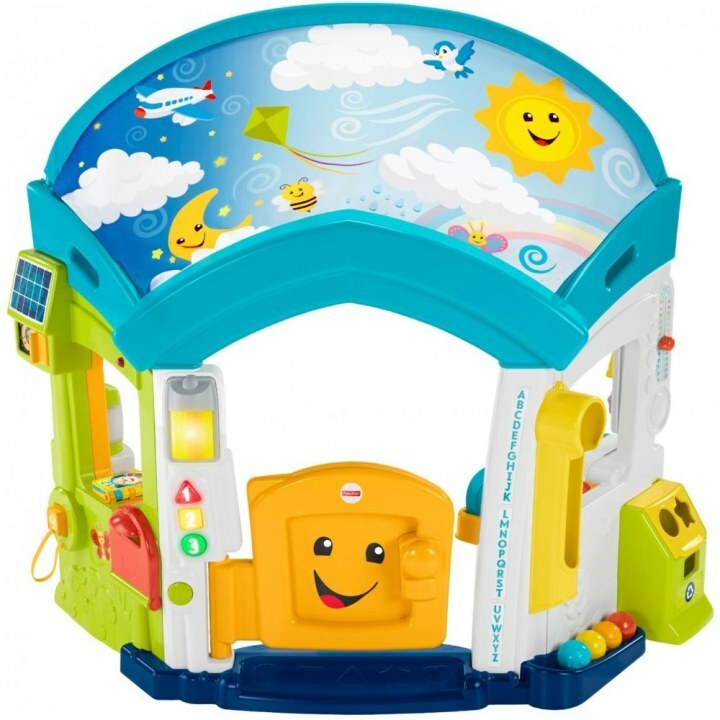 The kid-sized playhouse is big enough for two kids to play together, and the interactive doors and windows are great for hours of exploring. 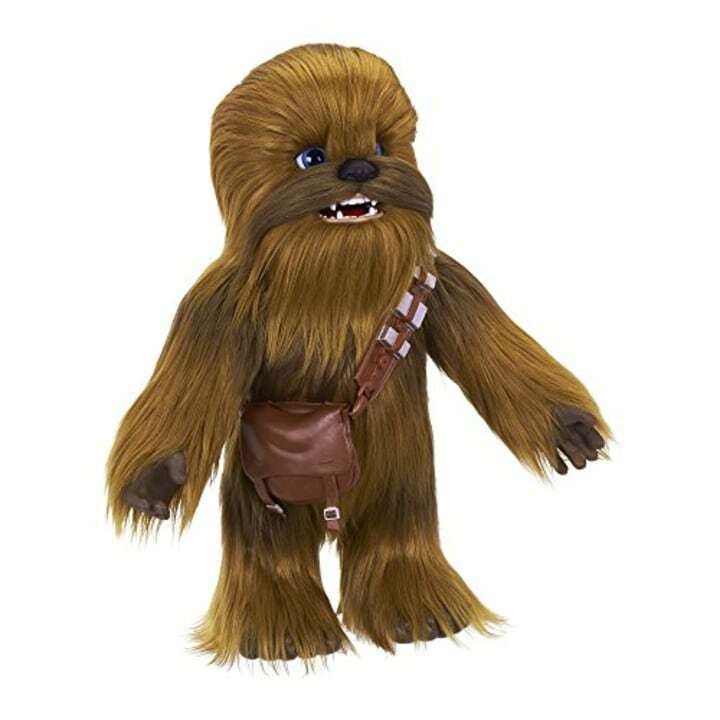 This year, get your very own Wookiee sidekick! Make a noise and the Ultimate Co-Pilot Chewie roars back. Puzzles and games for all ages continue to be a hit with the Toy Portfolio test families, said Oppenheim. 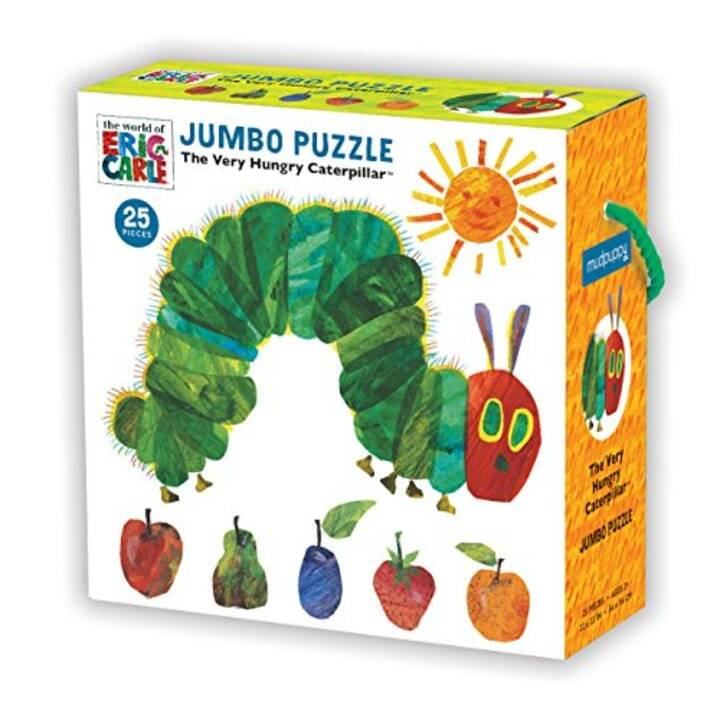 This jumbo puzzle takes a little one's favorite story off the page for an activity that even preschoolers will be able to enjoy. Also available at World Market and Barnes & Noble. 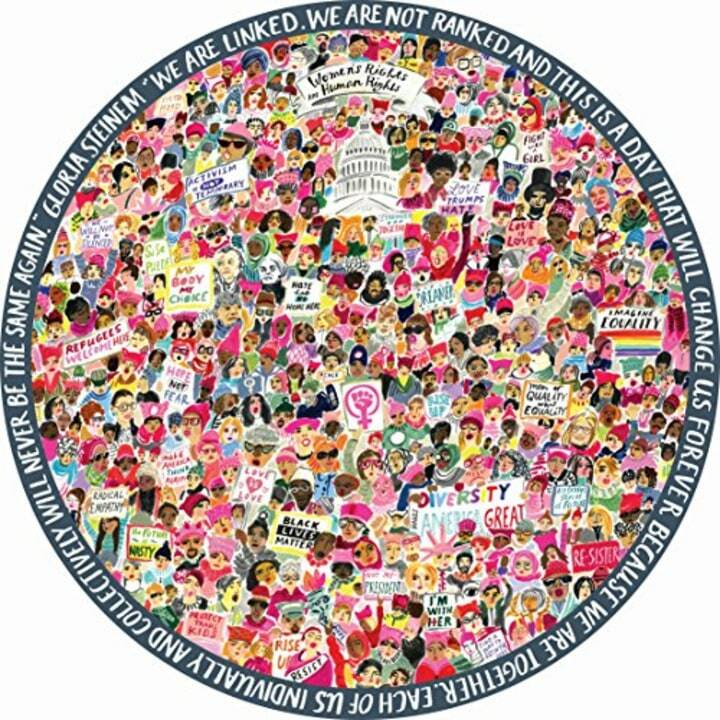 This 23-inch puzzle depicts images from the Women's March surrounded by a quote from Gloria Steinem. With 500 pieces, it certainly isn't an easy puzzle, but any budding feminist will be up to the challenge. Jenga got a makeover! 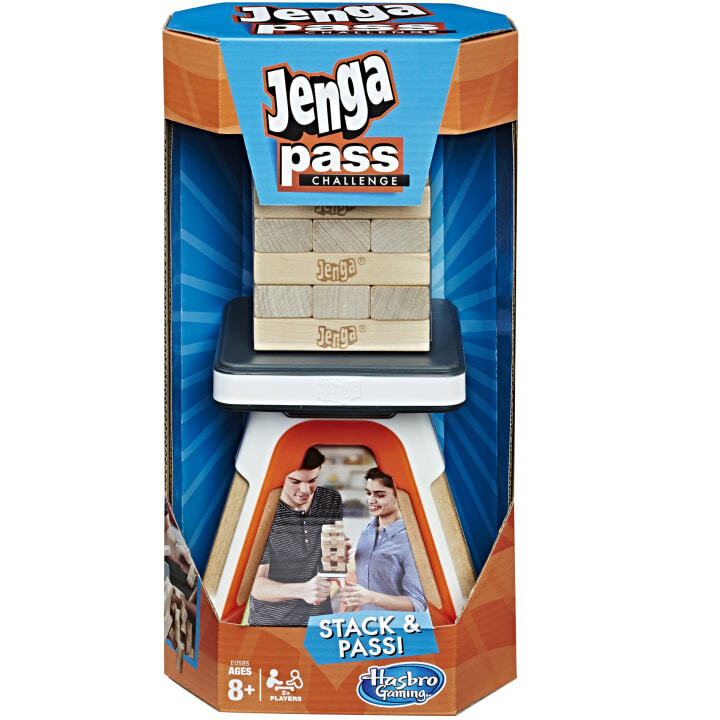 Take the classic block-stacking game off the table for an even wilder game of balance. Oppenheim said tweens and teens will enjoy the novelty of this silly activity. This craft kit is great for older kids and tweens because it allows them to express their creativity however they want. 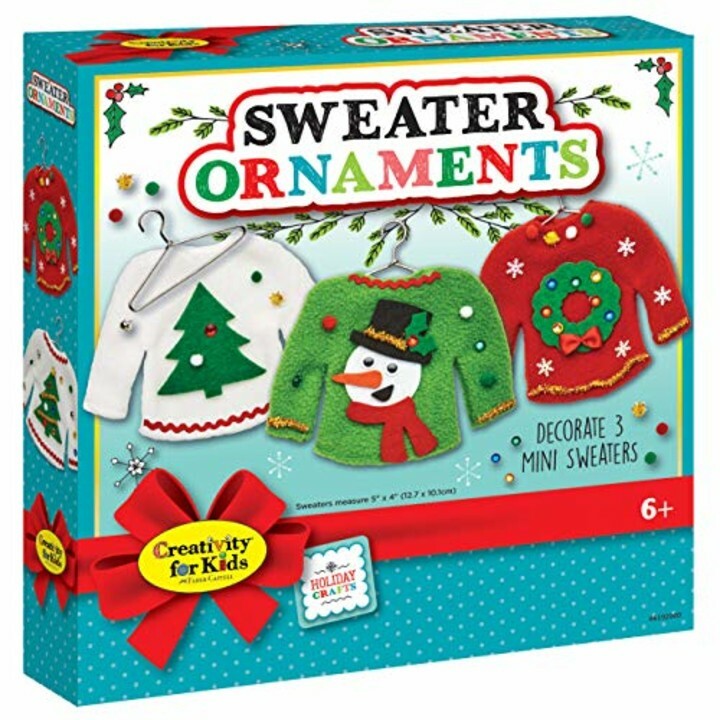 Plus, these ornaments offer some serious inspiration in the ugly sweater department. Wingardium leviosa! This is Oppenheim's pick for the young wizards you know. 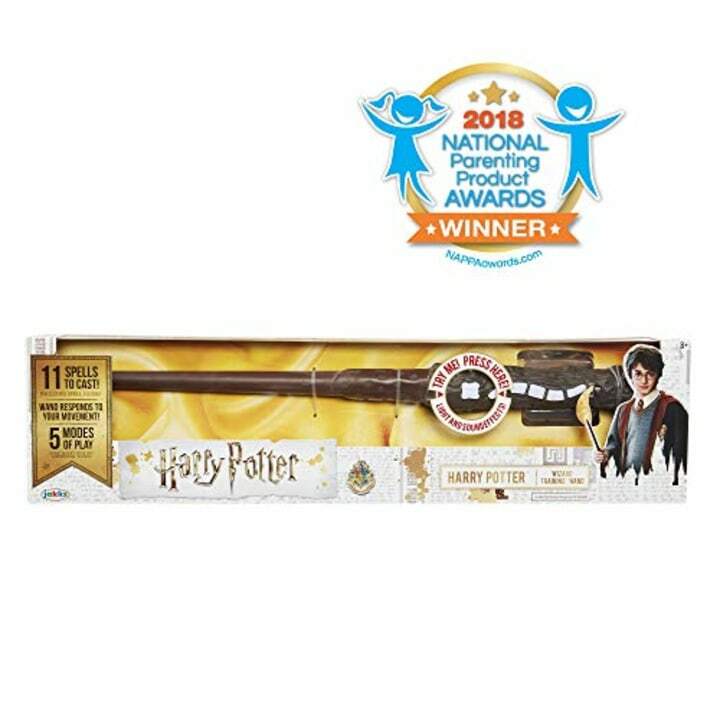 The training wand can learn 11 spells and interact with other wands for a game of wizard tag. Also available at Little Bits. This is an awesome alternate to a traditional action figure. 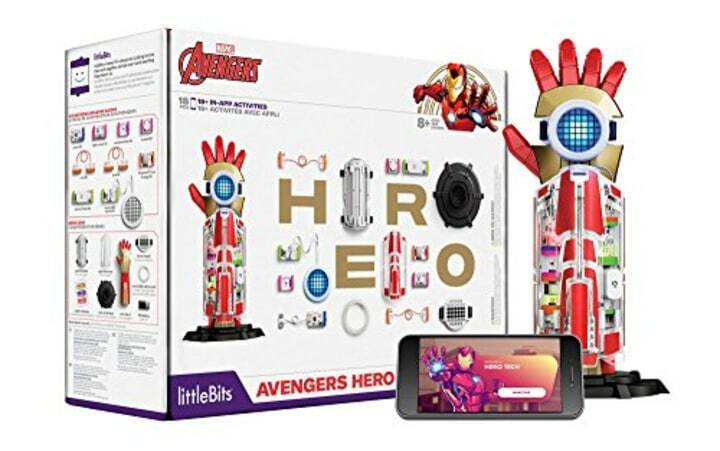 "Rather than buy a ready-made prop from the "Avengers" movie — kids are challenged to build their own high-tech arm that they can program with their smart phone," said Oppenheim. 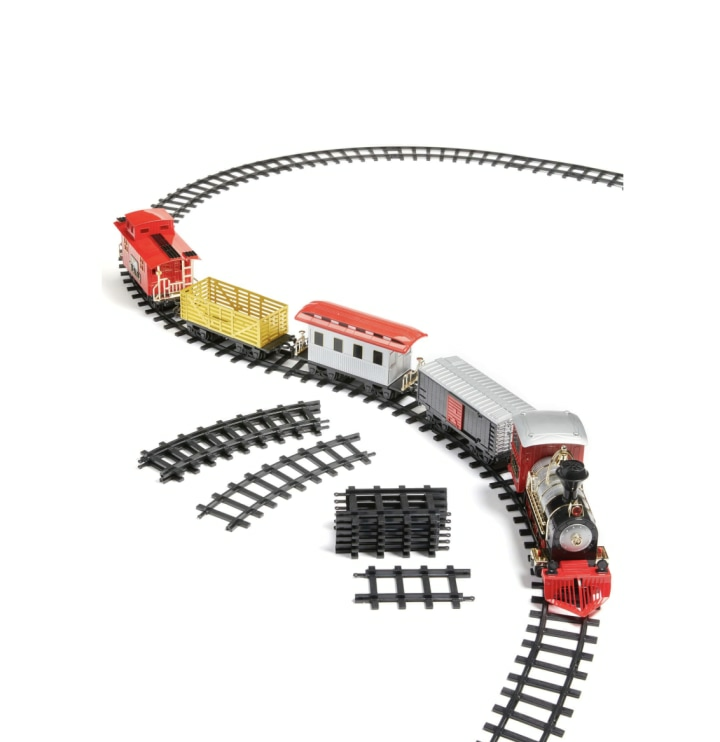 Train sets never go out of style, and this is Oppenheim's pick for a set that's great for preschoolers. The two-level station even has a recorder for making station announcements! Toy Insider expert Laurie Schacht also shared her knowledge of all things toys. These tiny fur balls transform into a cute stuffed animal with the love and care from their new owner. It's meant for kids ages 2 and up, so naturally we had a bunch of editors in their 20's check it out. Hilarious misadventures aside, the lovable toy warmed our hearts and seemed like a great way to teach kids about responsibility. 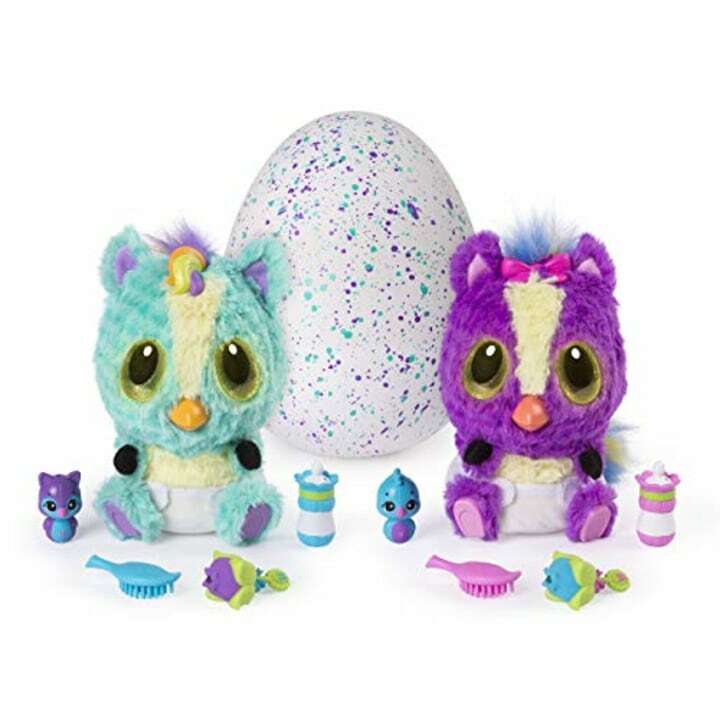 Last Christmas, we got hatchimals twins. 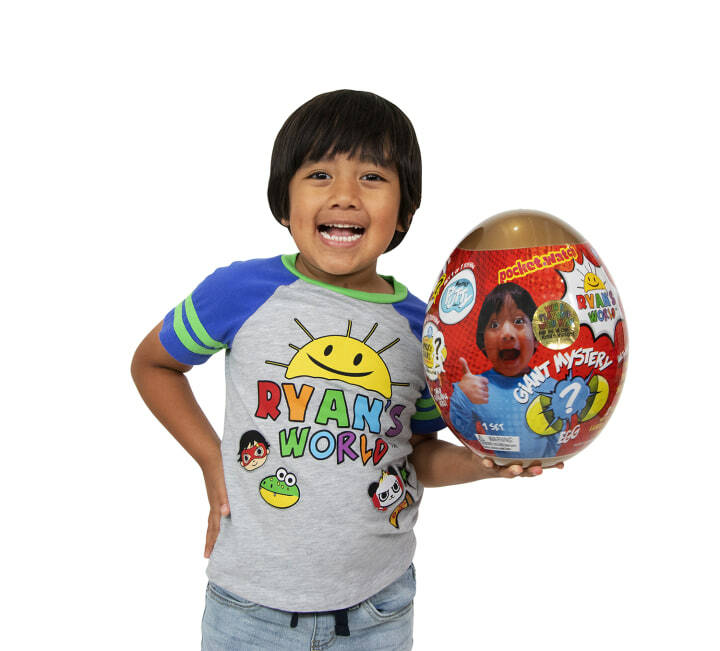 Now, the newest version of the toy egg is here. Introducing — hatchibabies! Kids will find a boy or girl baby hatchimal inside the speckled egg. 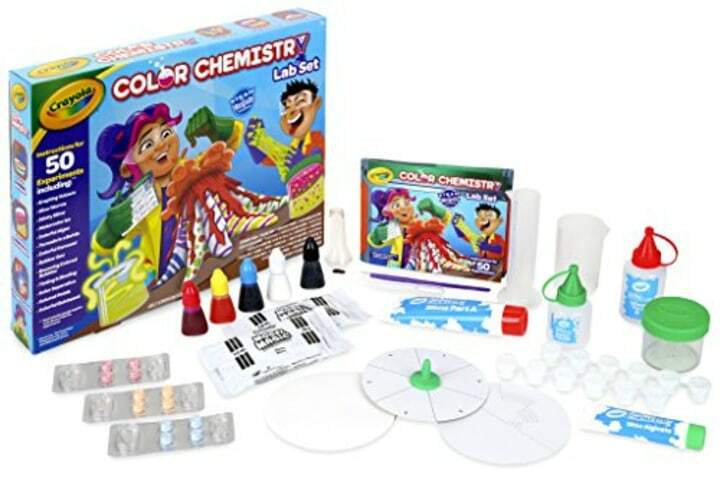 With 50 different colorful experiments designed by Crayola scientists, this lab set teaches kids the magic of science, math and art through color. From an erupting volcano to glow worms and slime, kids can embark on experiments using core Crayola products and household items, stretching their imaginations while enhancing STEM skills. 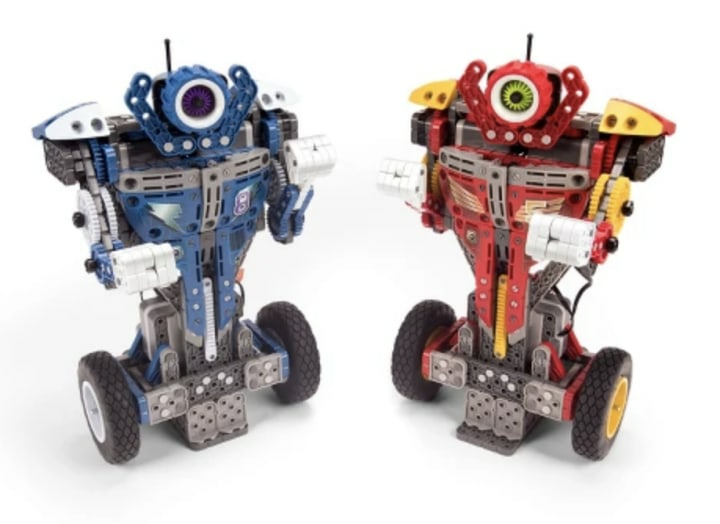 Kids can build battling robots with this motorized STEM construction kit. The kit comes with one Mock Rocker Bot, a Boxing Bot with more than 380 snap-together pieces. Once kids build and assemble their own robots, these smart-tech self-stabilizing boxers are ready for a match. 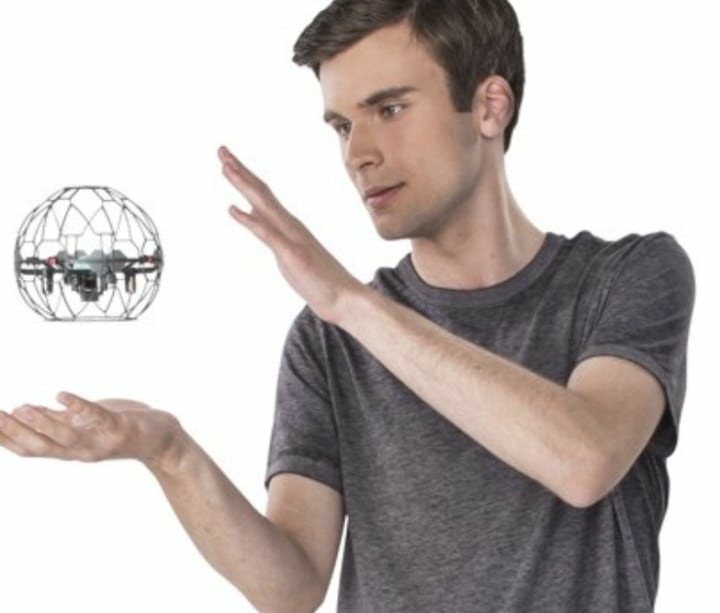 The robots feature a smart-tech self-stabilizing feature that uses a gyroscope and an accelerometer. 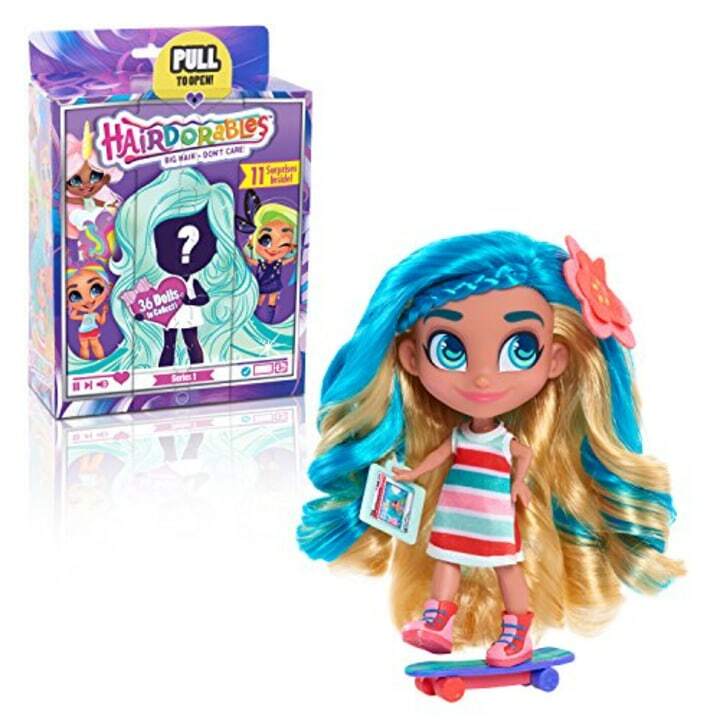 These hot new surprise dolls combine fun, fashion and lots and lots of gorgeous colorful hair. Noah and her girl squad have “Big Hair Don’t Care” attitudes and love to share their passions with the world via the Hairdorables channel on YouTube. 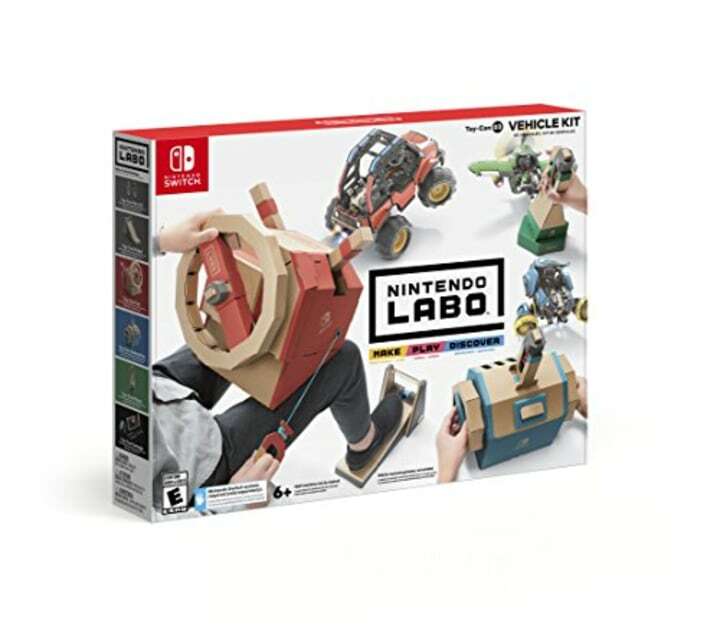 Nintendo Labo kits offer interactive build-and-play experiences that combine the fun of DIY creations with the magic of the Nintendo Switch system (sold separately). 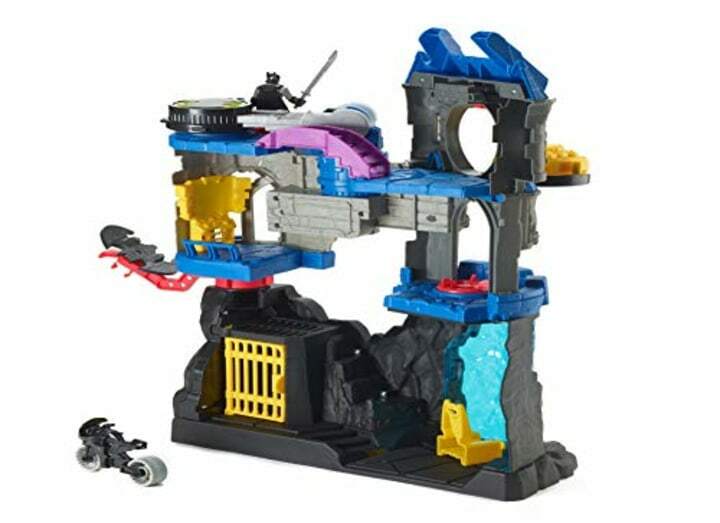 Players can build six Toy-Cons, including a car, plane, submarine, two keys, and a pedal. Boxy Girls love shopping online for anything fashion — shoes, clothes, bags, makeup, jewelry and more! They can’t wait to receive their online orders in packages shipped right to the door. Unbox the packages with Boxy Girls to discover tons of fashion surprises. Each Boxy Girl comes with four packages to unbox. Treasure X combines classic “you dig it” play with the trends of collectible action figures and “extreme” unboxing. With 10 levels of discovery, opening every Treasure X package is an adventure! 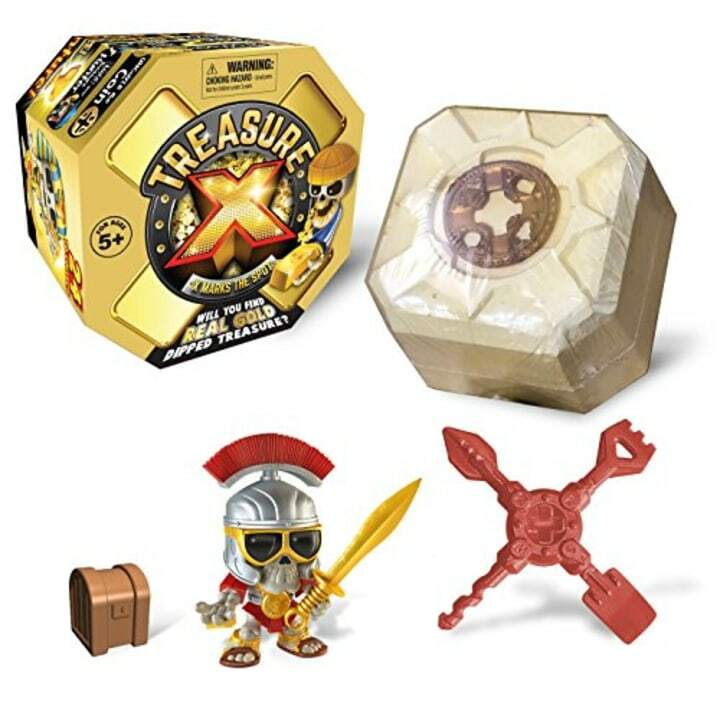 Every Treasure X pack includes a treasure map, X-Marks coin, X-Cavator digging tool, a buildable figure embedded in “stone” and a treasure chest. 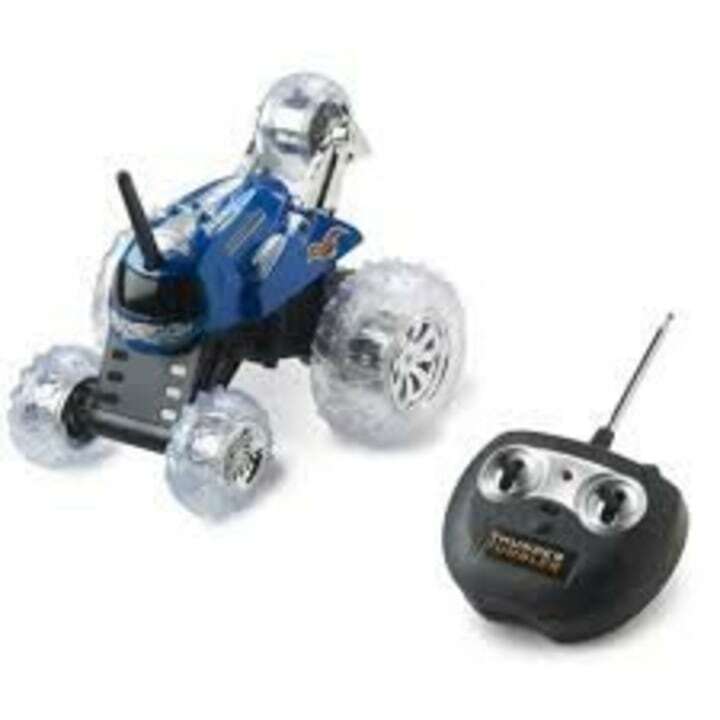 This cool vehicle features two motors powered by a Bluetooth-controlled battery hub, an opening miniature cockpit, four-wheel drive and two dual-stud shooters. Kids can download the app to control the vehicle from their smartphone or tablet. 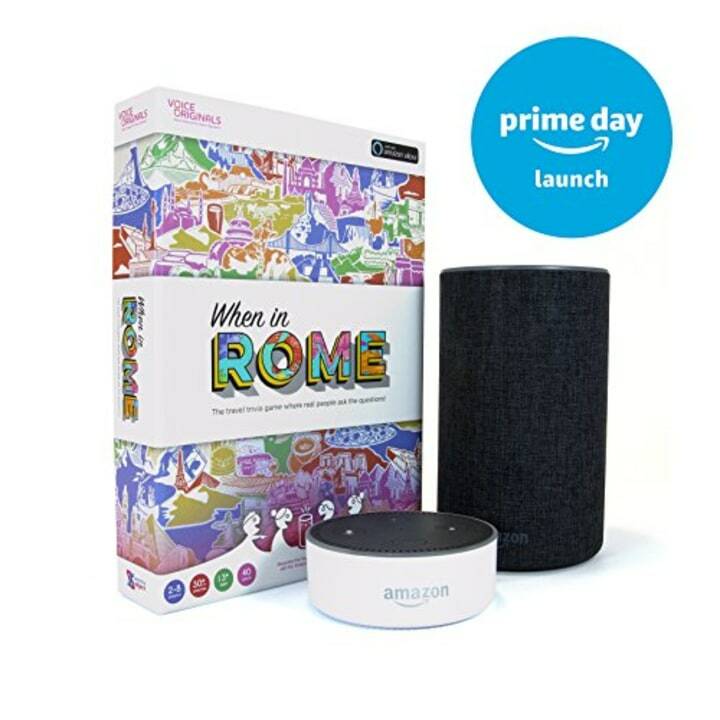 Voice Originals is the first family board game to connect Amazon’s Alexa device (sold separately) for a voice-enhanced gaming experience. To play, simply set up the board, fire up the associated Alexa Skill and you're ready to go! Alexa teaches you how to play, keeps score and immerses you in the world of the game. Watch out Fingerlings! These big-eyed lemurs promise to be a stocking stuffer winner. Watch Lil' Gleemerz light up, make cool sounds and play games. 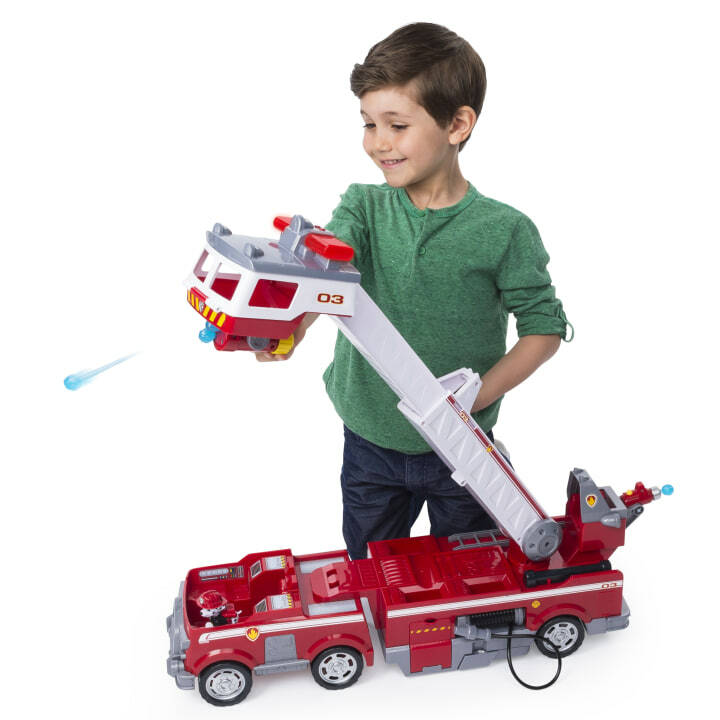 Kids who love "Paw Patrol" on Nickelodeon will adore the rescue pups' new fire truck! The ladder extends and there are plenty of flashing lights and sounds. Now, you can channel your inner Yoda with this electronic mask. 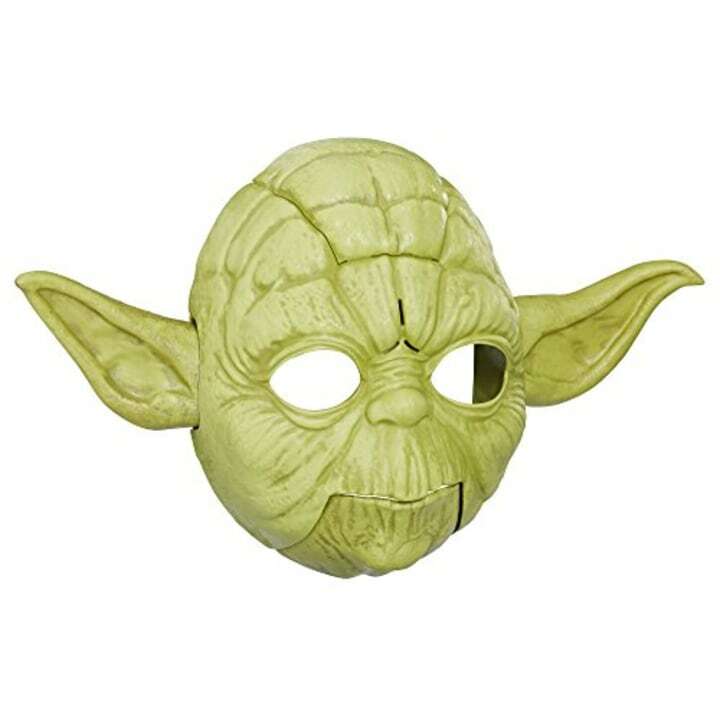 Open your mouth while wearing the mask to activate Yoda sounds and some ear wiggling action. Doc McStuffins to the rescue! 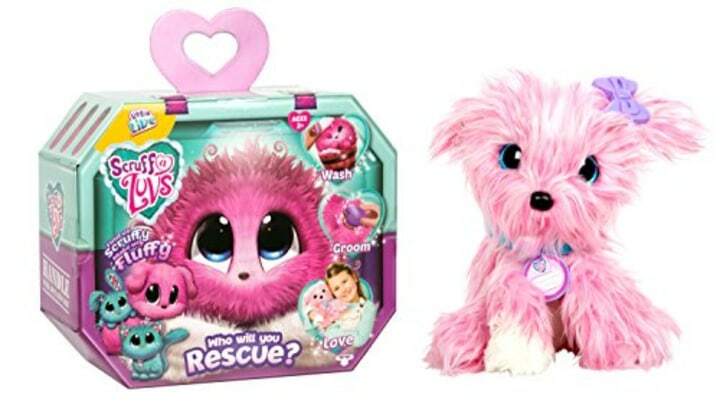 This pet rescue set is a must for Doc fans. 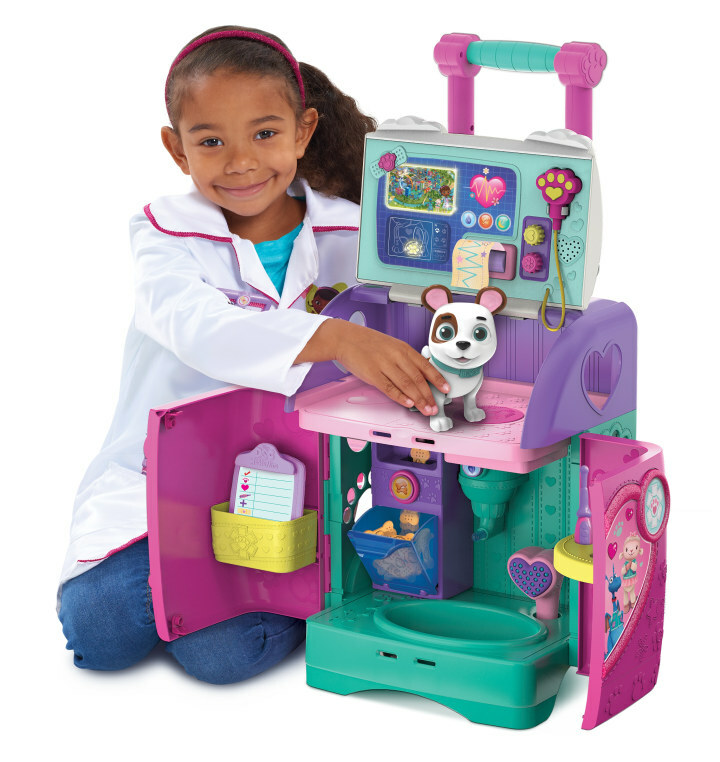 Kids will spend hours giving Doc’s adorable pet friend Oliver a check up and diagnosing all those boo-boos. 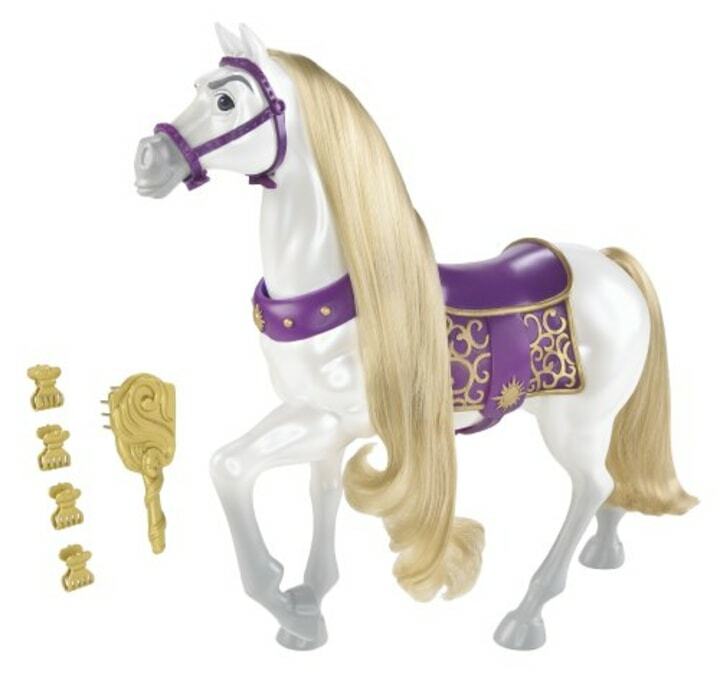 Now, kids can have their own loyal friend, just like Disney’s Rapunzel! This lovable horse stands over 2-feet tall and younger kids can sit on it. The toy makes trotting and neighing sounds. Plus, the head moves when reigns are pulled. Does Barbie have a rooftop pool? You bet. This year, her dream home is even grander with three floors, eight rooms, and a working elevator. 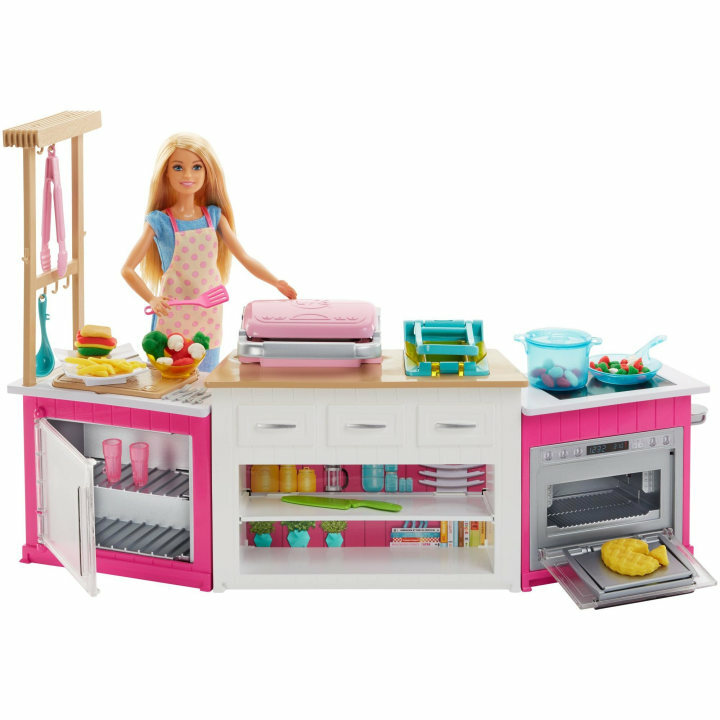 Swivel the dollhouse and let Barbie grill on the barbecue! 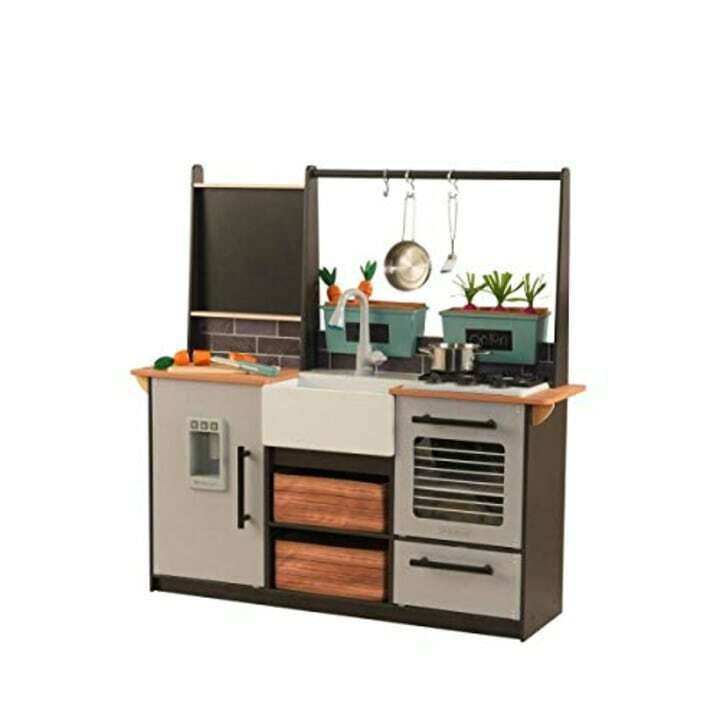 This play kitchen is stylish and fun. Kids can grab some veggies and fire up the cooktop. Farmhouse sink makes running water sounds and ice maker dispenses pretend ice cubes! Kids are over the moon for this aspiring astronaut from American Girl. The doll is decked out in a cosmic-print dress and holographic boots. And if you’re wondering when the 2019 Girl of The Year goes on sale, don’t worry. It won’t be released until after Christmas. 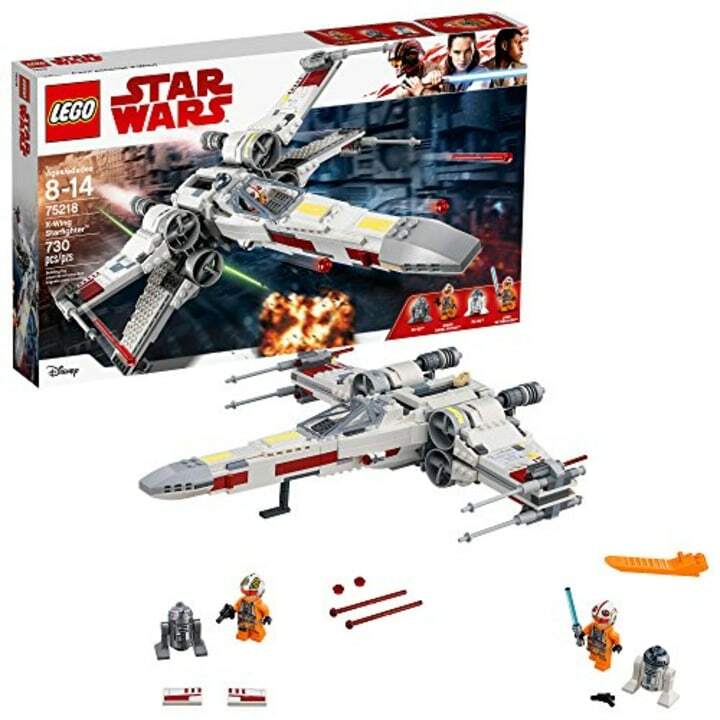 Lego doesn't disappoint this holiday season and this X-Wing is one of our favorites. Fly into action with Luke Skywalker in the cockpit. And, if you want more Lego action, check out Lego Hogwarts Express, it's perfect for Harry Potter devotees! The Marvel Rising collection was announced to much fanfare and the figurines are sure to be popular with young superheroes. 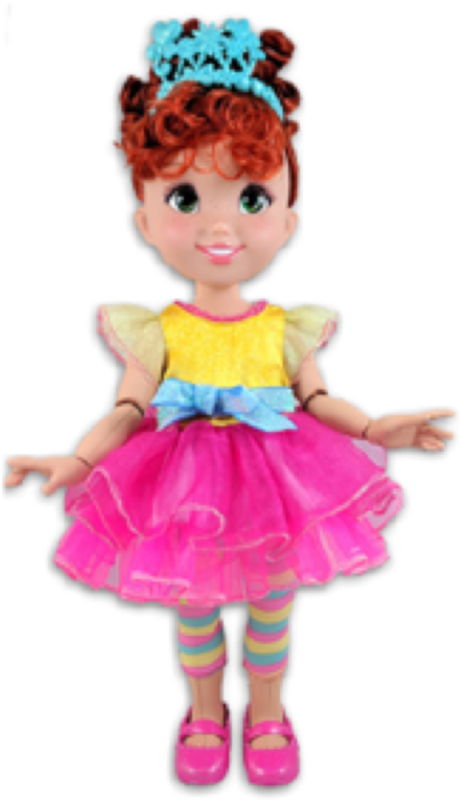 The new Disney Junior television series, "Fancy Nancy," is a hit, and now, Fancy Nancy dolls have arrived. Fans of the hit show may also like the Fancy Nancy Ultimate Dress Up Trunk. Remember that popular FurReal Roarin’ Tiger? Meet its new sidekick, Ricky, a talented dog who loves to perform cool tricks. He can even shake paws and flip a bone! 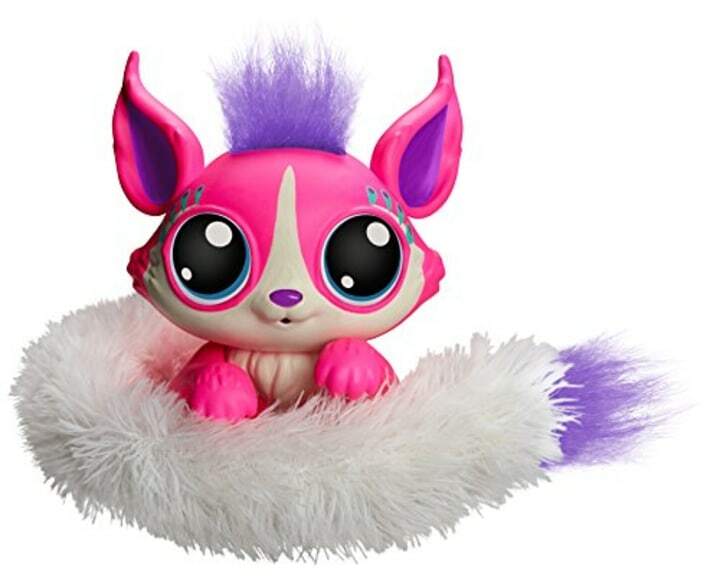 Also, if you like interactive animals, check out WowWee's new Alive Baby Tiger. 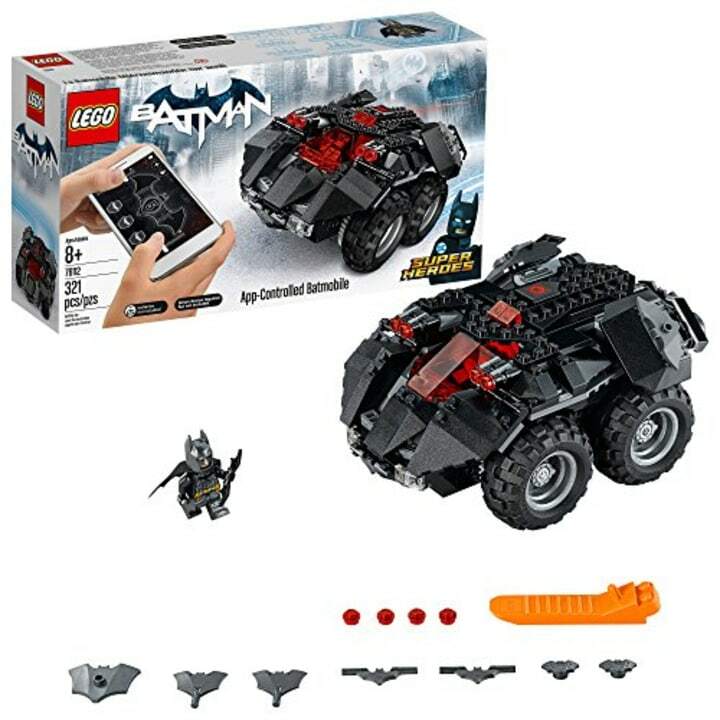 Last year, the Imaginext Batman was a hit. Now, the Batcave has arrived. There’s also a smaller version for $25 at Walmart. Squishy toys are expected to stay trend-worthy this Christmas. These squishy babies are delivered inside a little baby bottle. These dolls are the definition of "so ugly they're cute." They were previously only available in the U.K. but this year they've finally made their way across the pond. C is for cookie! 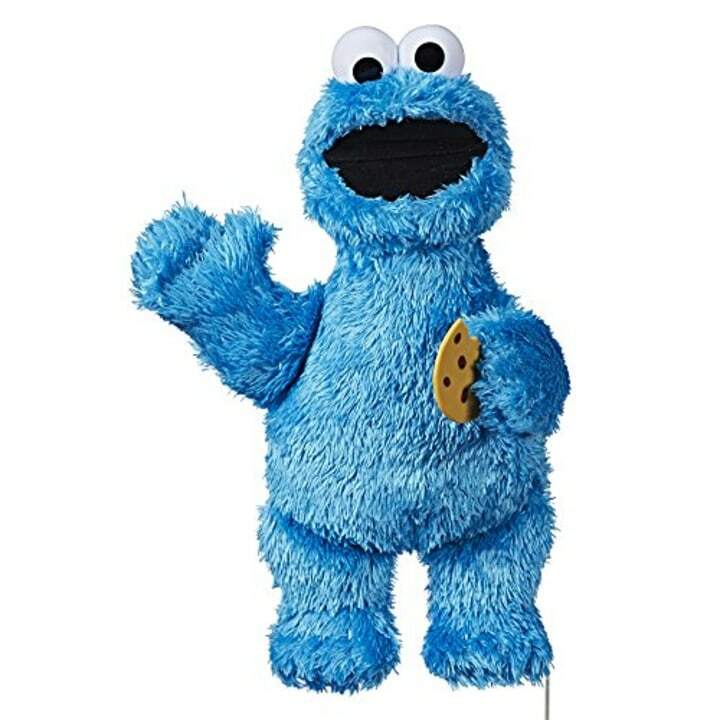 Sesame Street fans will be hungry for this new Cookie Monster.Sesame Street's Let’s Dance Elmo Toy is also a top pick. Nintendo Switch bundles are the ultimate starter kit for video game fanatics. The good news? There are plenty to choose from. 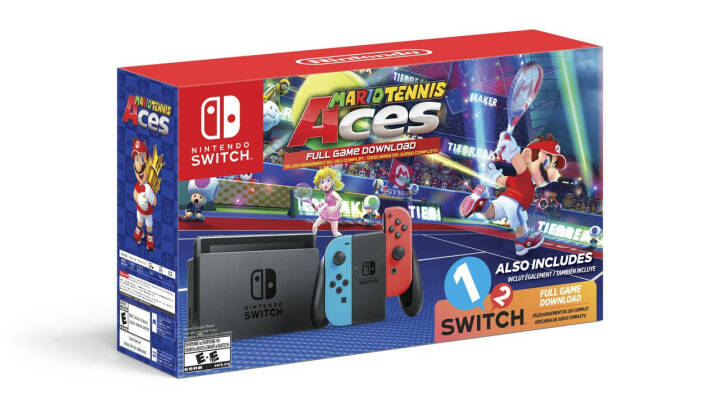 This new bundle features the game Mario Tennis Aces and 12 Switch. Nintendo isn’t coming out with a new unit this Christmas, but it will be releasing some software for the Nintendo Switch including Super Mario Party, Pokémon: Let’s Go, Eevee!, Pokémon: Let’s Go, Pikachu! Super Smash Bros. Ultimate and other fan-favorite titles. 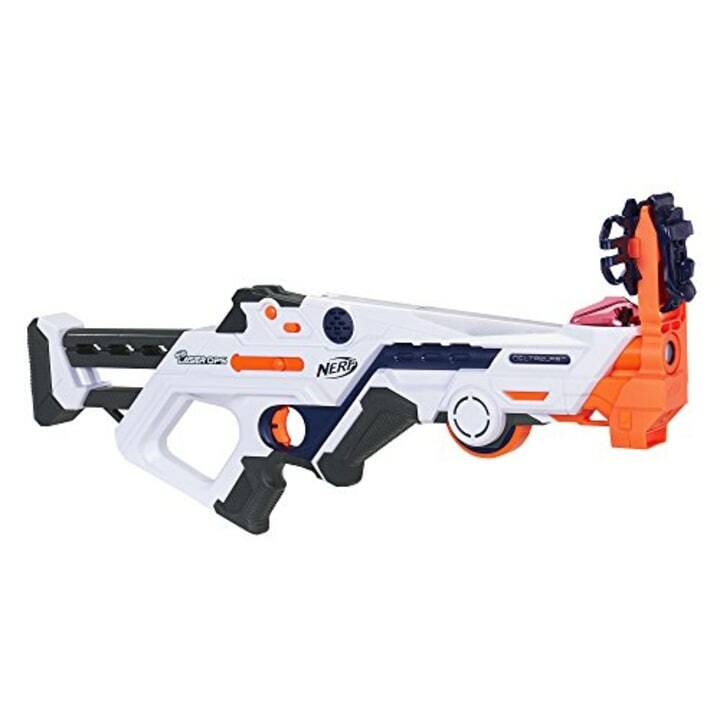 You can count on Nerf to always come up with a new blaster or two. This one is made for live-action laser battles. 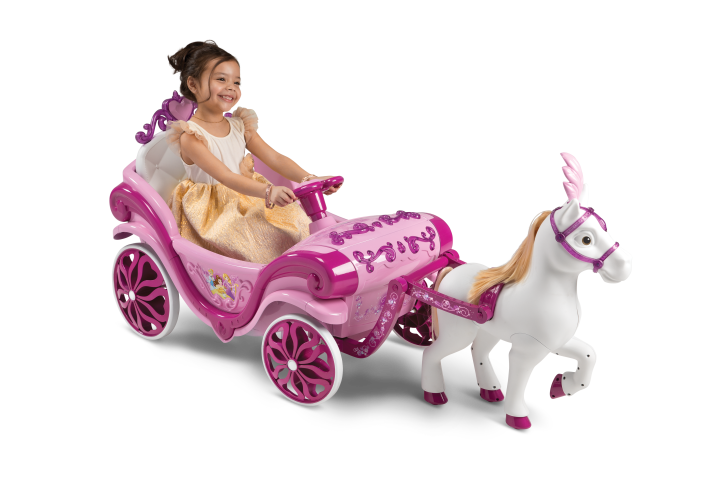 Any child will feel like royalty riding this new battery-powered horse and carriage. Go inside the Disney Princess Carriage and push the steering wheel buttons to hear princess music. Some of these items haven’t hit the shelves, but we'll let you know when you do. Keep checking here for updates.